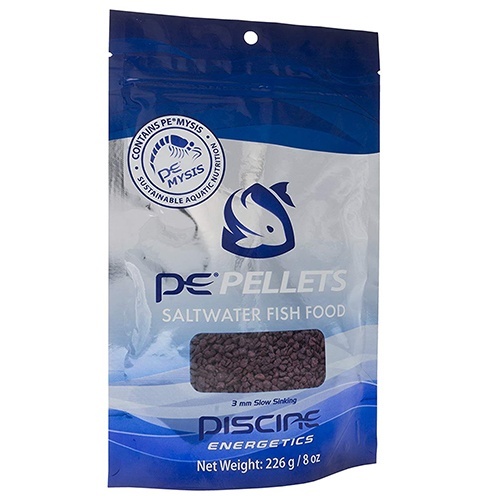 Hand crafted in small batches at the Piscine Energetics' laboratory in British Columbia, Canda; PE pellets are a highly palatable, nutritionally complete fish food designed to enhance coloration and induce an energetic feeding response in all varieties of fish. 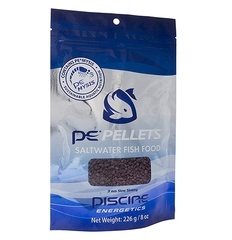 Saltwater PE Pellets contain fresh PE Mysis as the leading ingredient; resulting in a rich, nutritionally complete diet. Our unique low-temperature manufacturing process results in no loss of nutrition during production, protecting the integrity of the fresh PE mysis. With PE mysis as the leading ingredient, PE pellets are high in protein and Omega's 3 and 6 fatty acids.